Maintaining your pearly whites as clean as they can be is part of the duty if we wish to keep them for a lifetime. As such, in this article we are going to tell you about all of the ways and tips in order to do just that. 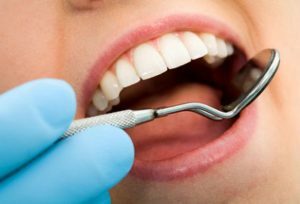 We have asked our Los Algodones dentists as to what, why and when we should be doing these tips, and they have provided us with all the information we need! 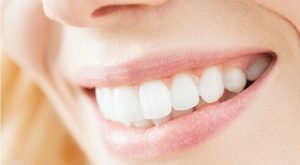 So hopefully this article works as a stepping stone for you to achieve that pearly white smile you have always wanted. Helps you keep your teeth white and without stains. Gives you a lovely smile and a good first impression for other people. You save more money in the long run by avoiding expensive treatments and dental procedures. Drives away such problems as bad breath and tooth decay. There are lots of reasons for you to pick up good oral habits. You can start right away by brushing daily and flossing among other tips we will be giving you today. Los Algodones dentists say this is one of the most underappreciated ways of keeping a good dental hygiene. This is your first line of defense when it comes to removing food and plaque off your teeth. Plaque, as you know, is harmful and wears down the protective layer of your teeth. It also turns into tartar, also known as dental calculus, when left unattended. So how do we keep our teeth clean with brushing? Brush twice a day. More times if necessary. Make sure to brush the outer and inner side of the teeth. Pay good attention to the chewing surfaces of your teeth as well. Make sure to brush with gentle strokes as to not harm the tooth enamel. Through dental floss we do not only dislodge food from between our teeth, but also get rid of the plaque that builds up there. This is also a good way to protect ourselves from gum disease. By cleaning flossing near the gum line, we are giving our gums more room to breathe as they are usual spots for plaque. There are several ways you can include fluoride for stronger and healthier teeth. For example, there are many brands of toothpaste and mouthwash out there with fluoride in their formula. Also, you can drink tap water which has small amounts of fluoride in it. Drinking water will not only help you against dry mouth and washing away food particles, but also protect your teeth. Removing the bacteria and plaque from our teeth is one thing, and getting rid of the excess of bacteria in our tongues is another one! Scrubbing and brushing our tongue proves beneficial in that aspect and also helps greatly towards having a fresher breath. Usually, we think that we do not need to head to the dentist if there isn’t a problem. But dental check-ups have proven to be very beneficial at maintaining a healthy smile as well as finding problems that would stay unnoticed otherwise! No Replies to "Tips For Keeping Your Teeth Clean"